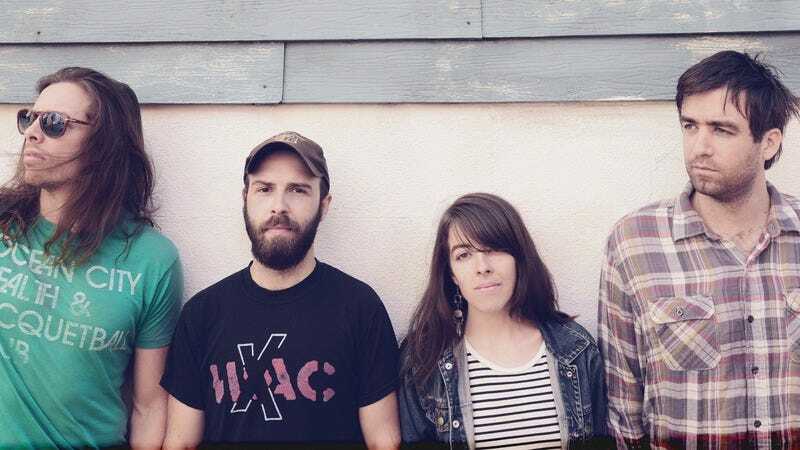 It’s ironic that, when Hop Along’s sophomore album—and its first for Saddle Creek Records—was announced, the band was referred to as “a secret.” In a way, it makes sense that this is how the band is regarded. Gestating for nearly a decade, Hop Along could easily be seen as the kind of band that exists on the fringes. Starting as Frances Quinlan’s solo project under the name Hop Along, Queen Ansleis, the band slowly evolved, though Quinlan’s husky voice and off-kilter insights have always remained Hop Along’s anchor. 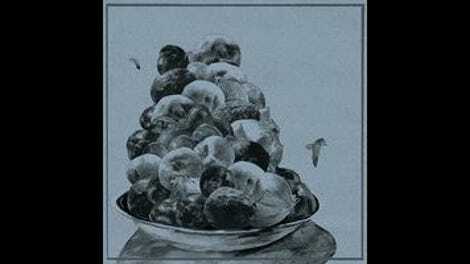 With the comma and Queen Ansleis excised from its name, Hop Along came busting out of Philadelphia’s D.I.Y. scene in 2012 with Get Disowned, a record that should have rocketed the band to stardom. That boost never came, but a groundswell formed around the group, attracting the attention of Saddle Creek in the process. That build has put more eyes on Hop Along, and Painted Shut shows the band doesn’t falter when it’s put under the spotlight. Opening with “The Knock,” Painted Shut offers listeners a road map of what’s to come over the next 40 minutes. For the song’s first 20 seconds, guitars chime back and forth between channels, playing off one another like a flirtatious conversation. Quinlan’s voice only makes the infatuation build all the more, as she reaches both the top and bottom of her register and plays hard to get with songwriting conventions. These densely packed sections pop up routinely throughout Painted Shut, and they’re what make the album such a memorable listen. Whether it’s Quinlan’s hollering, a guitar riff, a bass line, or even a lowly tambourine shake, subtle accents never muddy a song’s central thesis, instead offering a deeper look into the band’s world. Even when songs are at their busiest the various parts never compete, as the overflowing layers of “Horseshoe Crabs” prove. It’s fitting how much the song references Saddle Creek’s top dogs, channeling the key-smashing piano of Cursive’s The Ugly Organ, while Quinlan’s lyrics recall Conor Oberst’s ability to overanalyze compact moments until they carry an improbable weight. At times, Painted Shut blends all the various parts of Hop Along’s history. “Happy To See Me” has the Jeff Mangum-like machinations of the band’s freak-folk early days, while “Sister Cities” references alt-country and guitar-heavy indie rock without merely cribbing from its sources. Unfortunately for some, Painted Shut signals the end of Hop Along’s tenure as a little-known buzz band. For everyone else, it’s the sound of being welcomed to the party.